1. Loyer E.M., David C.L., Dubrow R.A. et al. Vascular involvement in pancreatic adenocarcinoma: reassessment by thin-section CT. Abdom. Imaging. 1996; 21 (3): 202–206. 2. Lu D.S., Reber H.A., Krasny R.M. et al. Local staging of pancreatic cancer: criteria for unresectability of major vessels as revealed by pancreatic-phase, thin-section helical CT. Am. J. Roentgenol. 1997; 168 (6): 1439–1443. 3. Raptopoulos V., Steer M.L., Sheiman R.G. et al. The use of helical CT and CT angiography to predict vascular involvement from pancreatic cancer: correlation with findings at surgery. Am. J. Roentgenol. 1997; 168 (4): 971–977. 4. Mazzeo S., Cappelli C., Caramella D. et al. Evaluation of vascular infiltration in resected patients for pancreatic cancer: comparison among multidetector CT, intraoperative findings and histopathology. Abdom. Imaging. 2007; 32 (6): 737–742. 7. NCCN Guidelines. Version 2.2016 (08/16/16). Pancreatic adenocarcinoma. National Comprehensive Cancer Network, Inc. 2016 [дата обращения 09.09.2016 г.]. 8. Lee J.K., Kim A.Y., Kim P.N. et al. Prediction of vascular involvement and resectability by multidetector-row CT versus MR imaging with MR angiography in patients who underwent surgery for resection of pancreatic ductal adenocarcinoma. Eur. J. Radiol. 2010; 73 (2): 310–316. 10. Esposito I., Kleeff J., Bergmann F. et al. Most pancreatic cancer resections are R1 resections. Ann. Surg. Oncol. 2008; 15 (6): 1651–1660. 11. Distler M., Rückert F., Hunger M. et al. Evaluation of survival in patients after pancreatic head resection for ductal adenocarcinoma. BMC Surg. 2013; 13: 12. 12. 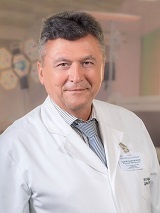 Karmazanovsky G., Fedorov V., Kubyshkin V., Kotchatkov A. Pancreatic head cancer: accuracy of CT in determination of resectability. Abdom. Imaging. 2005; 30 (4): 488–500. Кармазановский Г.Г. Опухоли поджелудочной железы солидной структуры: стадирование и резектабельность, критерии оценки прогрессирования опухолевого процесса после хирургического лечения (лекция, часть 2). Медицинская визуализация. 2016;(5):43-49.